Now that the end of March is upon us, the clocks are going forward and bringing with them lighter nights! We know Daylight Savings Time isn’t always met with universal happiness, but we’d like to make a case for that hour’s disappearing act. Not only will the sun shine longer and later, but there are also wellness and security benefits of Daylight Savings Time too. If you’re still on the fence about the time change, here are our seven things you can now do that might change your mind. Now that the days are longer, you’ve got more time to head outside in the evening, or stay outdoors in general. It’s one of the main benefits of Daylight Savings Time. Gone are the days of us holing ourselves up in our front rooms by the TV because it’s too dark outside to see. The barbecue, picnic and general romp around in the garden season is just about here. The whole point of implementing Daylight Saving Time was to allow us to enjoy more natural light – so enjoy it! Open the windows or sunbathe in the conservatory. Natural light not only gives us a much-needed boost of Vitamin D, but can help improve our moods, too. Sometimes the time change just slips right by without us even noticing. If you find you’ve missed an appointment or are an hour late, repeat after us: “I’m so sorry I’m late. I forgot to set my clock forward an hour for Daylight Savings Time!” Use as necessary. A big thought behind starting Daylight Savings Time was, if there was more natural light, we wouldn’t have to use as much energy. Granted, things like heating and appliances have more or less cancelled this out in recent years, but play your cards right and you could cut your energy bills. And we love any opportunity to be a little more planet-friendly. While we obviously enjoy going outside, we’ll take any excuse to get a little extra time in bed – and losing an hour in the middle of the night is definitely reason enough. 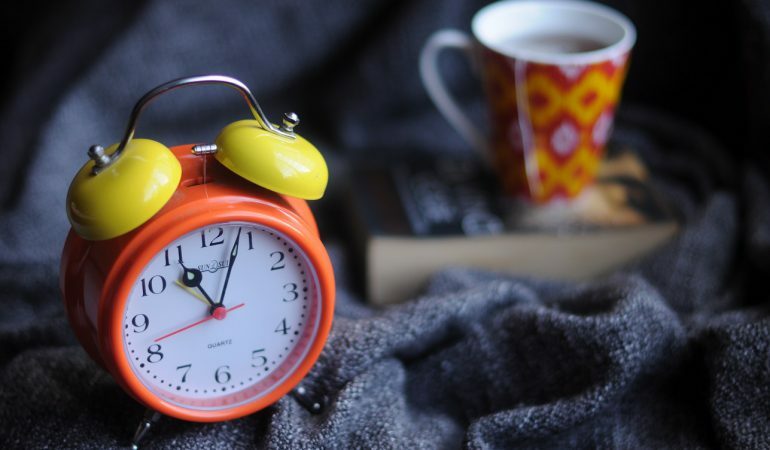 Studies have shown that Daylight Savings Time can actually have negative effects on health because of sleep loss, so just tell anyone that criticises your sleeping in until noon that you’re just looking after yourself. Studies have also shown that crime tends to decrease after Daylight Savings Time. Because criminals like to operate in the dark, longer days means they have less opportunity for break-ins. This means you can rest at home feeling just that much more secure. Last but not least, there’s nothing better than leaving work in the evening to endless sunshine. The day is still yours, and the walk to your home, car or bus stop is just that much better. Pretty soon, we won’t need to wear a coat when heading outdoors either – think about it that way, and Daylight Savings Time is about to become your new best friend. What’s your favourite part about the clocks going forward? Let us know on Twitter (@Anglianhome) or Facebook!